The Supreme Court, true to its constitutional commitment, has answered the Presidential reference uninfluenced by the hydraulic pressure of perceived popular sentiment, clarifying the law relating to distribution of natural resources. The interpretations of this verdict by the government, by the opposition, and by some members of civil society suggest they have different versions of the judgment - with little in common between them. A careful analysis of what the Supreme Court did actually say is therefore vital. The Court has not held that the government has a free hand in the matter of distribution of natural resources in the sense of a monarchial dispensation of largesse. As Justice Kehar pithily postulates, one Indian cannot be enriched to the impoverishment of 1.24 billion! Jurisprudence in the post republican era has evolved into a strong check on arbitrary exercise of power. Perhaps the time has come to now substitute the word "power" with the word "duty" and remind those who hold high office that the higher the office, the more solemn their duty. The Court, in the first instance, put the matter in perspective by clarifying that the Indian variant of the doctrine of "public trust" was, in the ultimate analysis, the principal by which disposition of certain natural assets would warrant higher judicial scrutiny. In lay language, this means that while generally the Court will not interfere with the content of policy, in relation to some assets it would carefully scrutinise this policy to ensure that it does not merely pay lip service to the cause of "public good" but is a genuine and a bonafide policy decision - not a ruse to alienate or create private interests in natural resources of certain kinds. Waterfronts for development of ports, mining in or near sanctuaries, use of rivers etc, are cases of this kind. On the question whether auction as a mode of disposal of natural resources was a constitutional requirement, the Court said "we would unhesitatingly answer it in the negative since any other answer would be completely contrary to the scheme of the Constitution". Reiterating the principles of judicial restraint the Court reminds us that "the Courts are not at liberty to declare a statute void, because in their opinion it is opposed to the spirit of the Constitution. Courts cannot declare the limitation of constitutional requirement under the notion of having discovered some ideal norm". 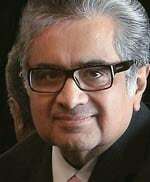 The Court noted the contention of the Centre for Public Interest Litigation [represented by Shanti Bhushan and Prashant Bhushan] that revenue maximisation during the sale or alienation of a natural resource for commercial exploitation is the only way of achieving public good since the revenue collected can be channelised to welfare policies and controlling the burgeoning deficit. But the Court rejected this view decisively, and held "we are not persuaded to hold so. Auctions may be the best way of maximising revenue but revenue maximisation may not always be the best way to subserve public good. Common good is the sole guiding factor under Article 39 (b) for distribution of natural resources". Giving instances, such as exploration and exploitation contracts and so forth, the Court held that mandatory auction may be contrary to economic logic. Similarly where the object of a state policy is to promote domestic development of an industry, auction may not be the sole method. Auction has its own drawbacks - for example, a 'winner's curse', where the auction purchaser ends up overbidding and acquiring an uneconomic asset. Having held that it is not for the Court to conduct a comparative study of the various methods of distribution of natural resources, the Court entered a caveat - "when such a policy decision is not backed by a social or welfare purpose, and precious and scarce natural resources are alienated for commercial pursuits of profit maximising private entrepreneurs, adoption of means other than those that are competitive and maximise revenue may be arbitrary and face the wrath of Article 14 of the Constitution". The judgment is a study in careful constitutional analysis, with the Court showing sensitivity to the need for judicial control of executive action on a case by case basis, but refusing to lay down a mandate which would circumscribe policymaking. Upholding executive prerogative in the matter of framing economic policy, the Court reminded the Government that economic policy must conform to the constitutional mandate of good governance - distribution of material resources so as to subserve public good. Where a policy does not subserve public good, the Court can - and the Court will - interfere to strike it down. Two messages are clear from this judgment. Crony capitalism is anathema to a republican system of government and no policy to favour a chosen few will pass judicial scrutiny. Equally the Court will not allow itself to be used as a tool for foisting an economic philosophy under the guise of a constitutional limitation. Perceptions of egregious corruption are momentary and cannot be the basis of evolving the jurisprudence of a timeless Constitution. Constitutions live beyond dark moments and their jurisprudence is based on a vision of India where we can walk once again with our heads held high.